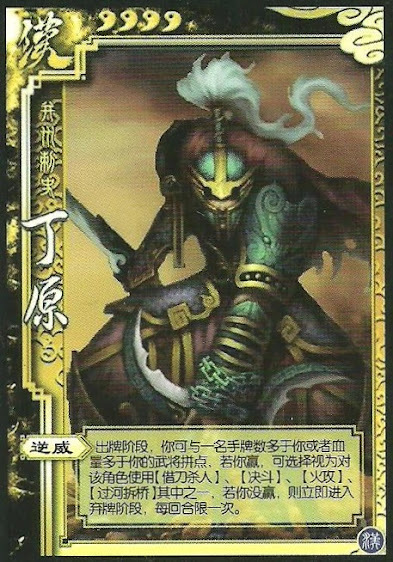 Once per turn, Ding Yuan can compete with anyone with more health. If he wins, he can use a coerce, duel, blaze, or break on that player. If Ding Yuan loses, he ends his action phase. When Ding Yuan wins the competition, he does not need to play the tool card. He can pick any of those four and it takes effect on the target. When Ding Yuan wins the competition, he can use Coerce on someone that does not have a weapon. If they decide to not attack, then Ding Yuan won't get anything from it though.